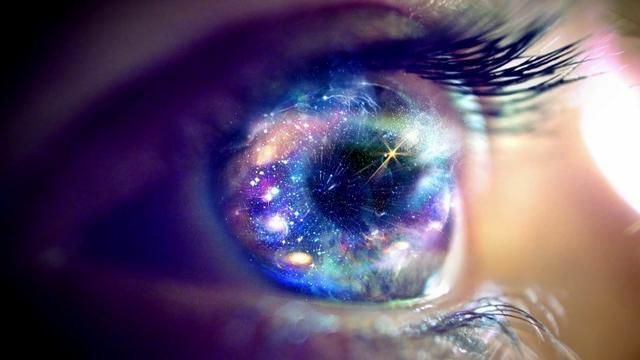 Many of us are experiencing a major shift in consciousness as we undergo our own spiritual awakening, find our true purpose, and realize our potential as spiritual beings. You may have heard many titles for this time on Earth, but the underlying principle is that a loving, compassionate, conscious reality is slowly replacing an outdated, fear-based, unconscious one. In metaphysical terms, we are experiencing a global shift to a higher vibration. As you go through a spiritual awakening, you will have an unrelenting desire to detach from limiting belief systems, and explore your own philosophies more. You may feel isolated and lonely at times, and others may call you crazy or too unconventional. You will probably find that your new values are in stark disagreement with the “norm,” and your newfound craving to walk your own path will lead you far away from mainstream ideals. At this point, you begin to realize that you cannot become your best self with toxic substances or toxic people weighing you down. To become a being of light, you will discover that drugs, alcohol, junk food, abusive relationships, and too much time around technology will severely deplete your energy. Along your spiritual quest, you will become interested in feeding your body lighter, nutrient-rich foods, and staying away from negative people. You probably will become very sensitive to the radioactivity within phones, computers, TVs, etc. Most people think a spiritual awakening means an immediate removal of all the heavy energies, and a sudden transformation from a deep slumber to true enlightenment. However, a spiritual journey involves constant fluctuations as karmic energy comes to the surface and you work to rid your energy body of those experiences and emotions. When you go out to a restaurant, grocery store, or bank, you may start to see these things as meaningless and harmful to the greater purpose you have found in life. You start to become disinterested in material items, shopping, eating out, and doing all the “normal” things people do. You may start to find more solace and meaning in nature and exploring your creativity. One of the biggest transformations people go through during vibrational shifts is a longing to get out of their current job, and into one that fulfills their true purpose. Many people even start their own businesses as life coaches, Reiki masters, or healers of some sort. They can’t spend another second in a soul-crushing job when they know they came here for a greater purpose. During this time, you probably will feel an even stronger divine connection to Earth and all its beings. When you see pollution in the air, animals being tortured, or someone crying, you will likely experience a strong reaction and wish you could instantaneously heal everything and everyone on Earth. As you learn to love yourself more, you will therefore be able to love others more, which will deepen your sense of empathy towards others. You have become ultra-sensitive to others energies, and sometimes being around other people drains your own energy. You want to spend time exploring your creativity, and developing a relationship with yourself. If you find yourself wanting to go off on your own more, don’t worry; this is a normal part of tuning into your higher self. You begin to realize that all your life, you unconsciously helped create whatever experiences you had up to this point. Now, you know that you can consciously create your reality, and bring about the experiences you actually want to have. You no longer feel encapsulated by a victim mentality, and understand that you and you alone can change your life. You start to take on full responsibility for your emotions, experiences, and actions. Most people would just call these coincidences, but upon awakening, you will come to know them as synchronicities. If you see repeating numbers frequently, such as 11:11, 2:22, etc, your spirit guides or angels are letting you know that you’re on the right path. If you have a song in your head and hear it on the radio immediately after, you are experiencing synchronicity as well. You begin to realize that this planet needs more love, and figure out ways to use your own gifts and energy to spread it like wildfire. You may feel the urge to get rid of a lot of your belongings by giving them to charities, or you might want to volunteer more around your community. During this transformation, you may decide that a minimalist lifestyle can serve you better in the long run. Having outward clutter causes inward clutter, and you realize how light you feel when you give rather than take. You realize that the only time we have is now, and that the past and future are illusory concepts. By living in the now moment, you realize you can actively create your future in the present, rather than waiting for the future to come to you.